Brad Meltzer is an American author popular for his Culper Ring political spy thriller series as well as his several standalone novels. Reading the Brad Meltzer books in order is rather easy when it comes to his thriller books because his Culper Ring series featuring the young archivist Beecher White includes so far only 3 novels (although the series still continues), while all the other books he has written are standalone thriller (many legal) novels. Here are the Brad Meltzer books in order for his spy thriller novels and everything else he has written so far. Brad Meltzer (website) was born in 1970 and was raised in Brooklyn, New York. After moving to Miami in South Florida, he went to the North Miami Beach Senior High School from where he graduated in 1988. Next, he attended the University of Michigan, graduating with a B.A. in 1993. While in college, at the age of 19 he got an internship on Capitol Hill in Washington, which helped him eventually become the political thriller author he is now, having quite the influence upon his books. In 1993, after graduation, he started working at the Games magazine, but as the publisher, he wanted to work for left the job not long after, he decided to switch paths and started to write his first novel, which was titled Fraternity. This first novel got 24 rejections and was never officially published. He enrolled to the Columbia Law School shortly after. While a student, he wrote his second novel, The Tenth Justice, which is the first book to be accepted by a publisher and to see the day of light. It was published in 1997. While working on his espionage thriller novels, the author also started to dabble in other genres, writing several comic book issues for several superheroes, including The Green Arrow, Superman/Batman as well as Justice League of America and Buffy the Vampire Slayer. In addition, he has several children’s books and non-fiction books. He is also the co-creator of the TV series Jack & Bobby, which ran between 2004-2005 on WB. I first came upon this author back in the late 1990s when I’ve read his Tenth Justice novel and I was hooked. It was at a time when I was devouring legal thrillers by authors like Scott Turow, Steve Martini, Philip Margolin, so I welcomed another similar author’s books to add to my TBR shelf. The next I’ve read was The First Council, which proved to be just as good as his debut novel, which he wrote when he was still in law school. Since then I’ve picked up pretty much everything the author has written, including The House of Secrets, which I have reviewed on Mystery Sequels. 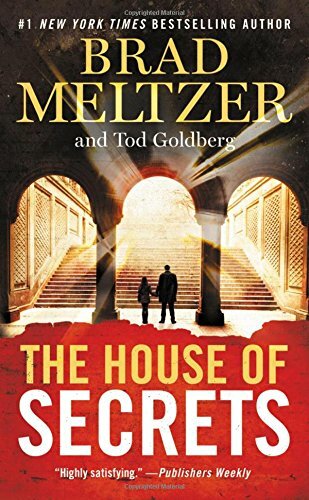 The House of Secrets was co-authored with Tod Goldberg, the author who novelized the TV series Burn Notice. The book features Hazel Nash who wakes up in the hospital with amnesia. She doesn’t even remember her own name. But she is told that she was in a car crash which killed her father and severely injured her brother. When the FBI shows up at the hospital door, Hazel has no idea why they are grilling her about some secrets belonging to Benedict Arnold. Now Hazel decides to find out for herself what is going on and why that small Bible found inside a dead man’s body is so important. For his books, Brad Meltzer does a lot of research. For example, for the story in The Millionaires, he has to learn how to alter one’s identity. How to steal identities of people, something that he learned it’s all too easy, including getting a new passport and a fake social security number. 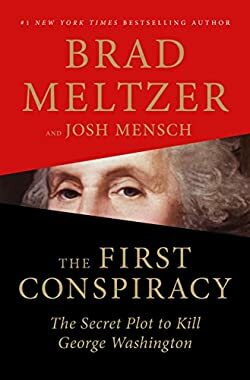 That particular book was the first where Brad Meltzer departed from the world of lawyers and bankers and went with his thrillers in a new direction (and new city. The latest Brad Meltzer book is The Escape Artist, published in 2018. It focuses on Zigarowski, who goes by “Zig,” the Port Mortuary Branch Chief at Dover who not only conducts autopsies but also makes sure that the family members of the deceased will see the person just as they remember him. When Zig starts to work on Nola’s body, he recognizes the name from many years ago. But the more he works on her body the more he doubts that it’s the same person he knew back then. So who is this person who died in the plane crash and more importantly – where is the real Nola? Zig is a regular guy who ends up in a highly irregular situation. He is deeply wounded by the loss of his own daughter and tries to make the best of his situation. He is a real unlikely hero. All the Brad Meltzer books have been at some point on bestseller lists and over the years have been translated into over 25 languages. During the last few years, the new Brad Meltzer books have changed genres: the author has started writing books for kids in a series titled Ordinary People Change the World. As Mystery Sequels is geared towards crime, mystery and thriller series, it will not be featured here. However, I still recommend reading it with the kids. To read the Brad Meltzer books in order you only need to pick up the Culper Ring series. The rest of the books, which are standalone novels, can be read in any order you choose. My wife and I just finished your Culper Ring series on audio book format. We loved them. We both hope there be more in this series.